BIG SALE!! 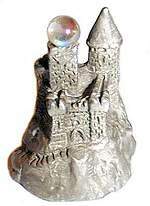 MINI PEWTER FIGURINE COLLECTIBLES BIG SALE!! 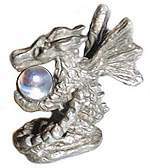 Baseball Dragon Baseball Dragon Mini Pewter JUST TWO LEFT! 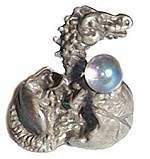 Mini Pewter baseball gloved Dragon with Emerald Swarovski crystal eyes and rainbow crystal orb. 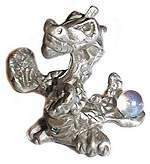 Kick Ball Dragon Kick Ball Dragon Mini Pewter JUST TWO LEFT! 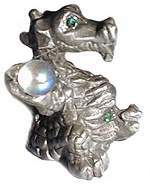 Mini Pewter kicking Dragon with Emerald Swarovski crystal eyes and rainbow crystal orb. 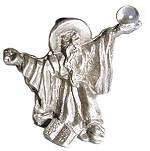 Mini Pewter Charon in his deathly boat crossing the river Styx with Swarovski rainbow crystal orb. 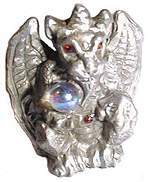 crystal eyes and rainbow crystal orb.